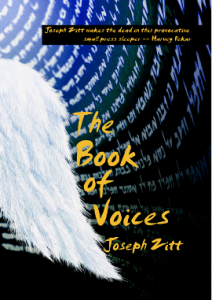 In The Book of Voices, a prophet who has lost her memory channels the voices of people from the Hebrew Bible to rediscover her own identity. 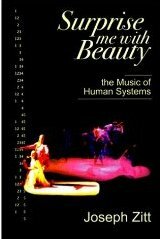 Surprise Me With Beauty: the Music of Human Systems (which you can download as a free PDF) involves materials and methods of improvisation. 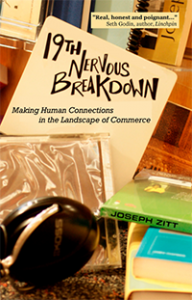 I’ve organized and led ensembles exploring these methods in Dallas, Austin, San Francisco, and Washington, DC. The Rounds (created with photographer Chelsey E Stewart) depicts life in Berkeley, CA, a few years ago, from the vantage point of my secondary job as a night watchman at a church near my house. 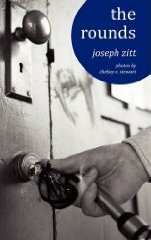 I did the rounds after midnight each night for over five years, and occasionally had fascinating and disconcerting encounters with the people whom I found there. 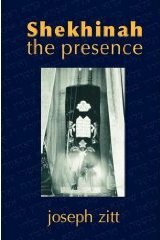 Shekhinah: the Presence, my first book, is a full-length poetic work focusing on images of the Divine Feminine in Jewish mysticism. It expands on the text of a dance/performance piece that my ensemble presented in 1992. Video and an album of the music from the piece are also available online for free.